So I have decide to do a cellulite challenge with a new product I have just bought. I tried this cream before my honeymoon however I was working out a lot and dieting, so I wanted to see if it worked again. While I was shopping the other day and was trying on clothes something caught my eye in the changing room mirror to my horror it was cellulite on the front of my thigh. 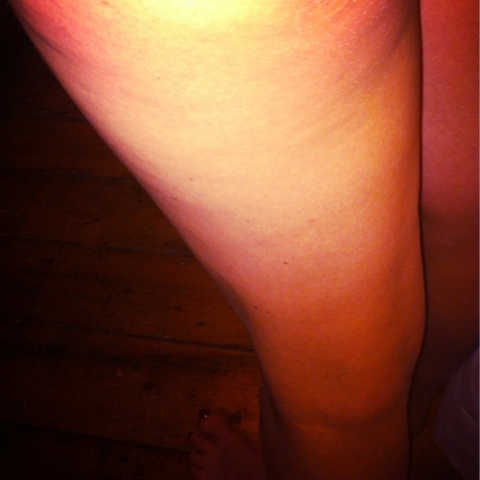 I could not believe it, I knew I had cellulite on the back at the top of my thigh but now it's moved to the front. I'm not happy at all!! 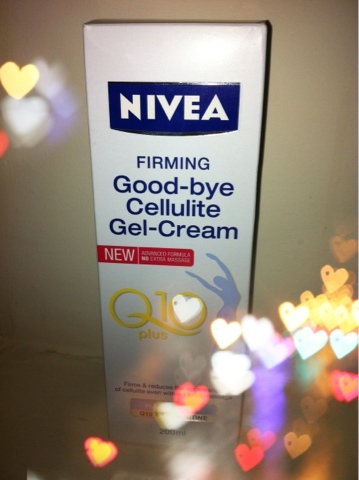 I need to sort it out so I bought Nivea firming Goodbye cellulite gel cream. TheCream has L-Carnitine and coenzyme Q10 which supports the conversion of fatty acids into energy and helps reduce the formation of new fat cells. You don't need to spend extra time massaging the cream in and you should see improved firmness in 2 weeks. Can't wait!!! Iv decided to post photos to show you what the difference is as you will be able to see yourself if it really works, fingers crossed!